in cutting and grinding wheels. Established in 1984, J Long Hardware Abrasive Co., Ltd. is now the OLDEST and LEADING abrasive wheels manufacturer in China, one of the China TOP 10 abrasive wheel manufacturers. J Long Head office has more than 500 employees, has a production capacity of 500,000 pcs per day. As a professional manufacturer for 33 years, we developed our brand “ROBTEC” to meet the professional and industrial markets. Our products are certified by MPA (GERMANY); produce according to EN12413 (European) or ANSI (US) standards; the company has been certified by ISO9001:2015; all products made by us are globally covered by insurance. 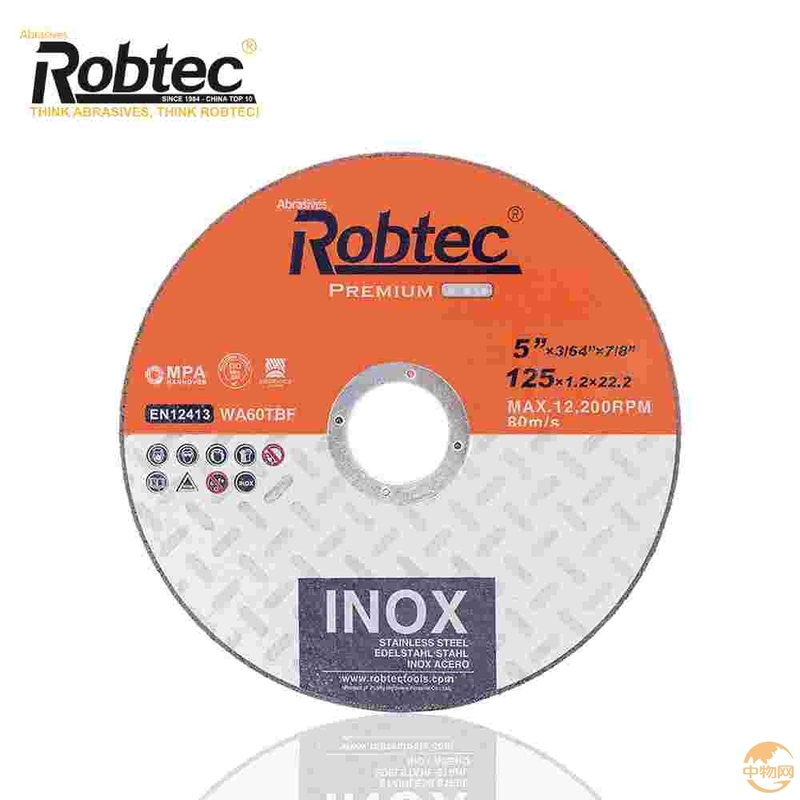 All ROBTEC discs are packaged in high-quality 5 layers color box, the box is splashproof, can stand a human stand on it. Our brand “ROBTEC” to meet the professional and industrial markets. Our products are certified by MPA (GERMANY); produce according to EN12413 (European) or ANSI (US) standards and globally covered by insurance. * Holding Promotional Exhabition in customer local market to help them market goods. The normal package is 5 layers color carton. OEM serives are also provided. Usuauly we put 28 pallets (Size: L1.1m*W1.1m*H0.8m)in one 20" GP containers. goods are packed in wooden pallets. And all wooden pallets has been fumigated with certification and stamped with verfied seal.